Following on from my recent posts on Baby Bio® Orchid care, I am continuing to trial products for the company, which also produces Phostrogen® and Toprose. As stated in my previous posts, I am not a serious orchid grower but ask me to trial plant food for more general garden planting and I am back into my comfort zone. 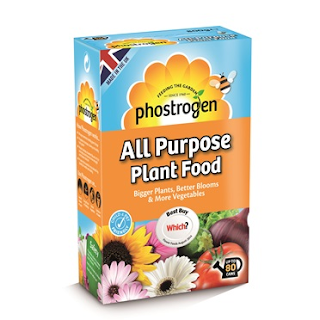 I was sent a box of Phostrogen® plant food products. I read the packaging carefully for each one so that I could understand how best to use them. The products are not organic, they are a synthetic fertiliser blend containing micronutrients. I am not an organic gardener but I am also not a consummate user of chemicals. I use them when I feel they are the best method for what I want to do. Like in all things, I believe that balance and being proportionate matters. 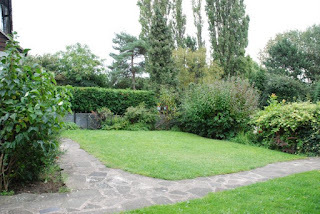 A garden is generally a managed artificial space, even in my Wild Garden I am removing dominant weeds I want to discourage and I introduced yellow rattle to manage the grass growth. It is not a completely natural space. When it comes to growing plants in containers, which is an even more artificial way of growing, then I believe extra help is often required. First to be deployed was the Phostrogen® Slow Release Plant Food and Moisture Control. In truth I am not the best container planter in the world, but I do seem to increasingly grow plants in this way. 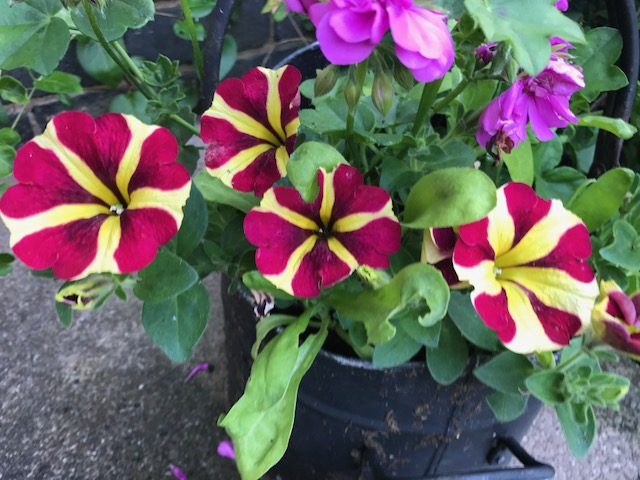 When I was repotting plants a few weeks ago for the growing season and when I was planting up my containers with annual planting I used this slow release plant food. The packaging promises that it reduces watering by 75%. Containers are very prone to drying out quickly so this is a very useful feature. This slow release plant food is designed to last for six months, which is perfect for the main growing season. I enjoy planting up this old coal scuttle with bright annual bedding and it lives on my front door step in the summer months. 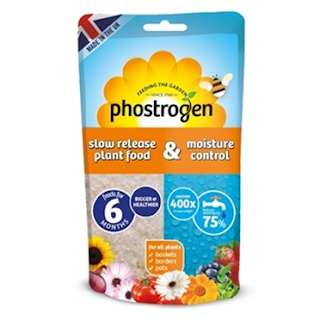 I measured out the Phostrogen® Slow Release Plant Food and Moisture Control granules and added them into the compost. I have been delighted with the results. I confess to forgetting to water the front door step plants more often than I should, but these plants have thrived. The colours are bright and they have survived in the recent hot weather really well. 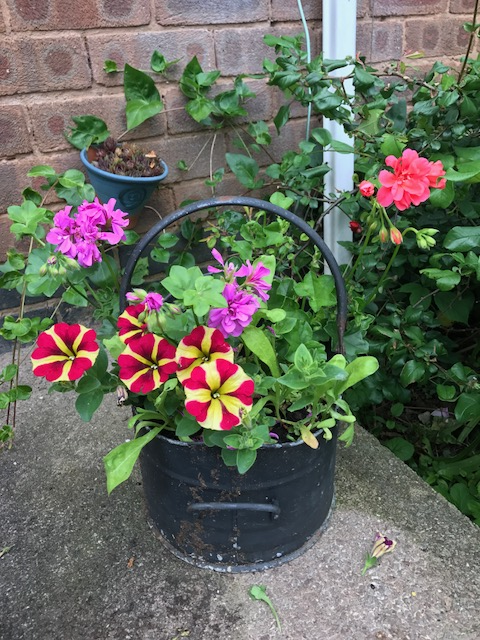 I also used the Phostrogen® Slow Release Plant Food and Moisture Control to revitalise a hanging basket I had set up last year. It is planted with Begonia Illuminations and as I knew that this is a tough begonia I overwintered the hanging basket in the greenhouse. I started watering it in spring and lo and behold the begonias began to show signs of life. 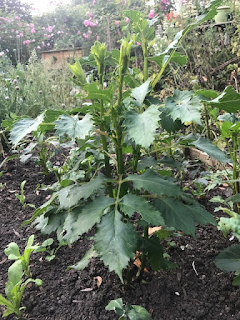 I scraped out some of the compost so I could add some new and at the same time added some of the Phostrogen® Slow Release Plant Food and Moisture Control granules. In a hanging basket having the moisture control is very useful and the slow release of the food will keep it looking good through the summer. The basket was duly hung into place when it was showing good growth and the first flowers will be here soon. I am very pleased with it. 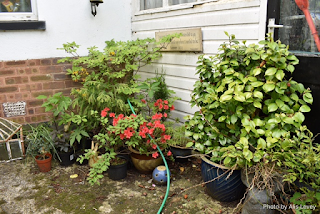 I often write of my ‘Courtyard’ plants, who are all in pots. This is a particularly difficult area of my garden as it is shady for most of the day. Every year I check the plants and many often need potting on. This year the Rhododendron luteum has been repotted and again the slow release food was used. It looks very happy. I have been using the Phostrogen® Patio Plant Food on all my container plants. The brugmansia, dombeya and begonia luxurians are all hungry plants and the Patio Plant Food has been meeting their needs. 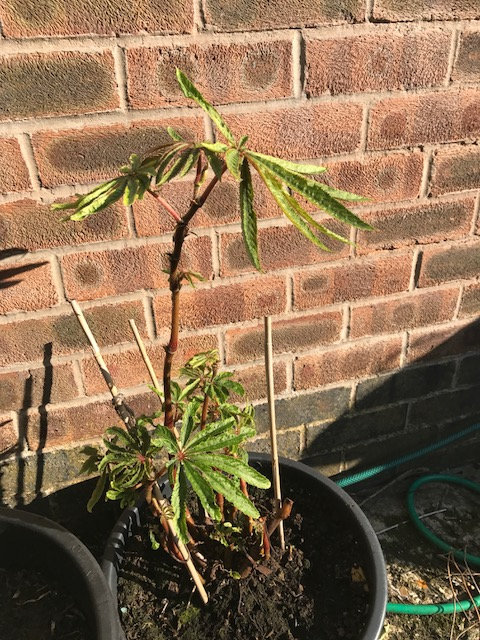 The begonia in particular was looking a little sad at the start of the year but it is now putting on good growth. 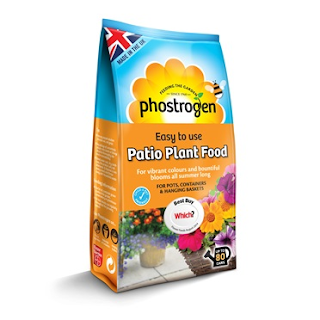 Finally there is the Phostrogen® All Purpose Plant Food, which can be used anywhere in the garden on flowers and vegetable plants. This year I am growing fewer vegetables than usual due to the vegetable beds being laid over to growing flowers for my daughter’s wedding. 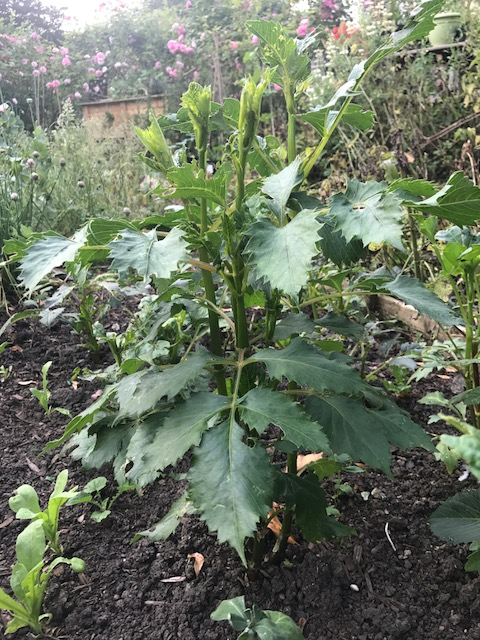 I have used the All Purpose Plant Food particularly on the dahlias I am growing. You can water it in or you can use it as a powder. I have found that adding it as a powder just before it rains works very well. I have found this range of products very effective. 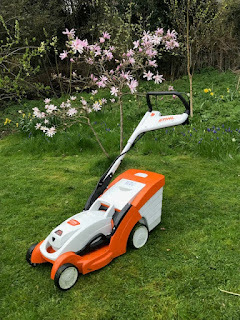 They do what they say they do, they are easy to use and if, like me, you have container plants but you want to make the management of them as easy as possible, then I can fully recommend them.